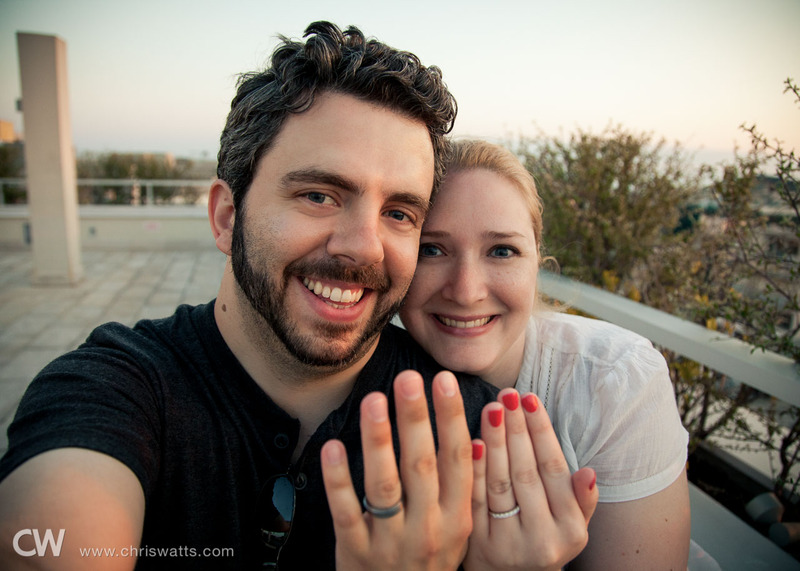 This is part 1 of 4 of Our Honeymoon In Greece. 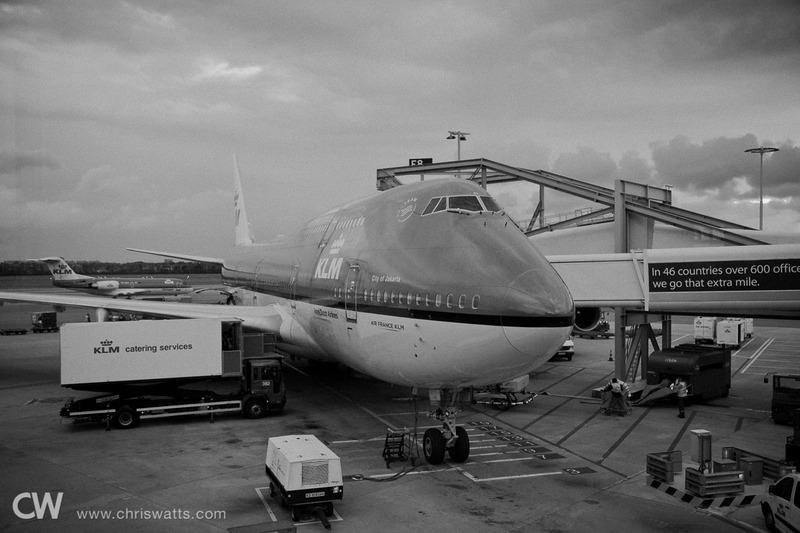 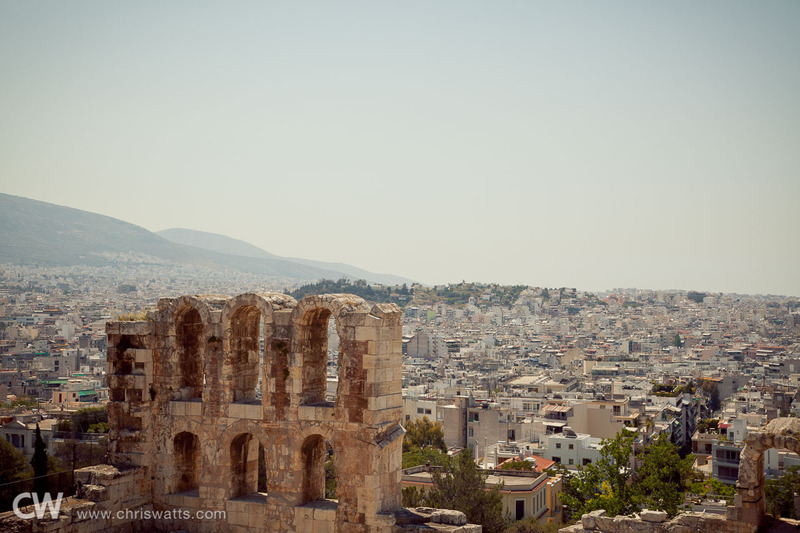 Our trip started with about a 9-hour flight to Amsterdam, followed by a 3-hour flight to Athens, where we would spend the next two nights before moving on to Mykonos. 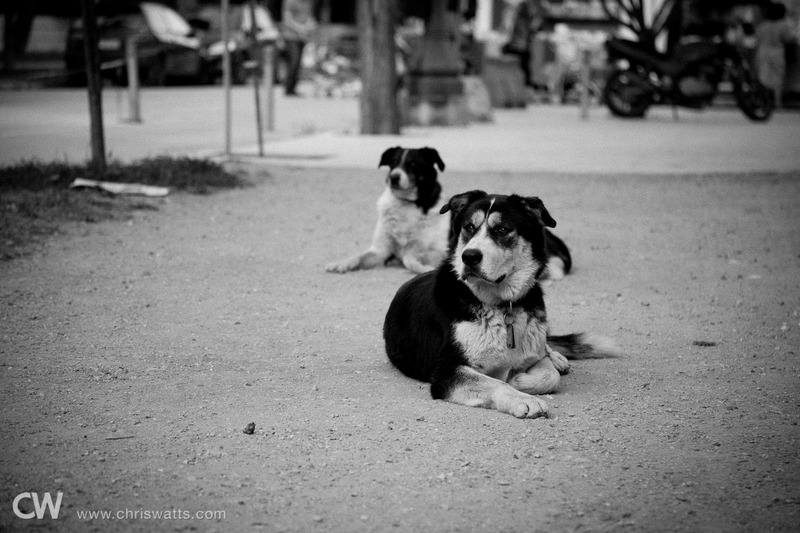 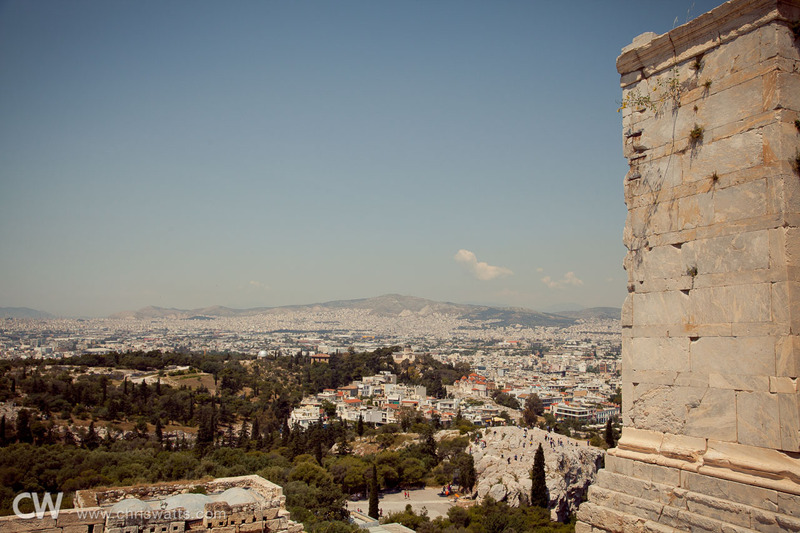 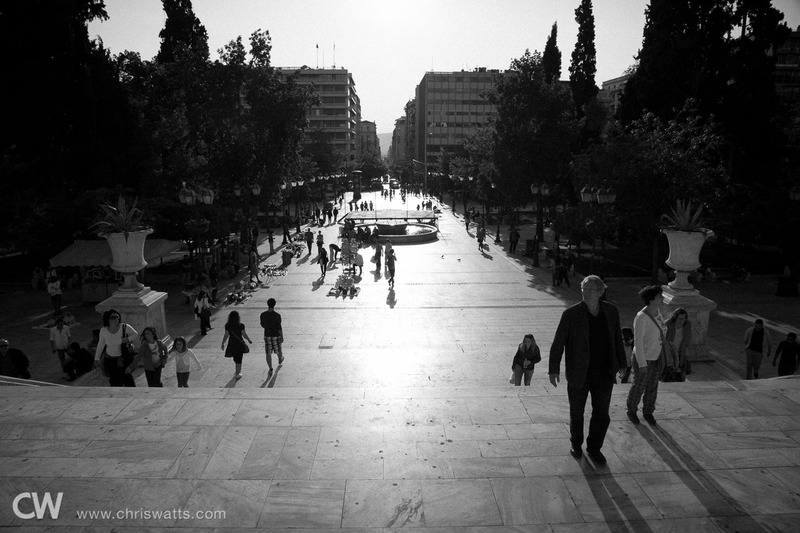 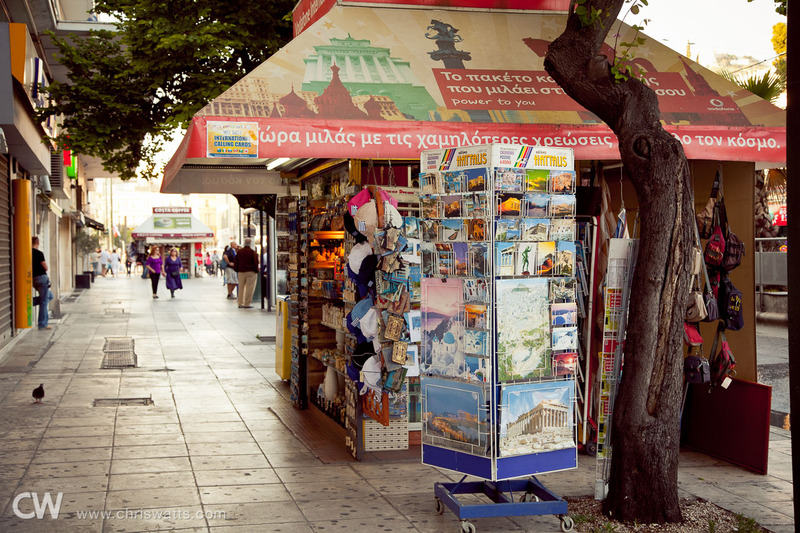 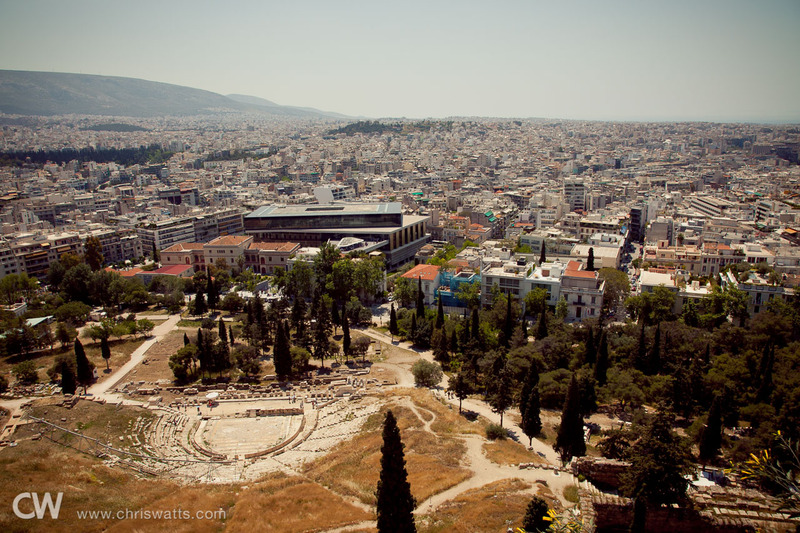 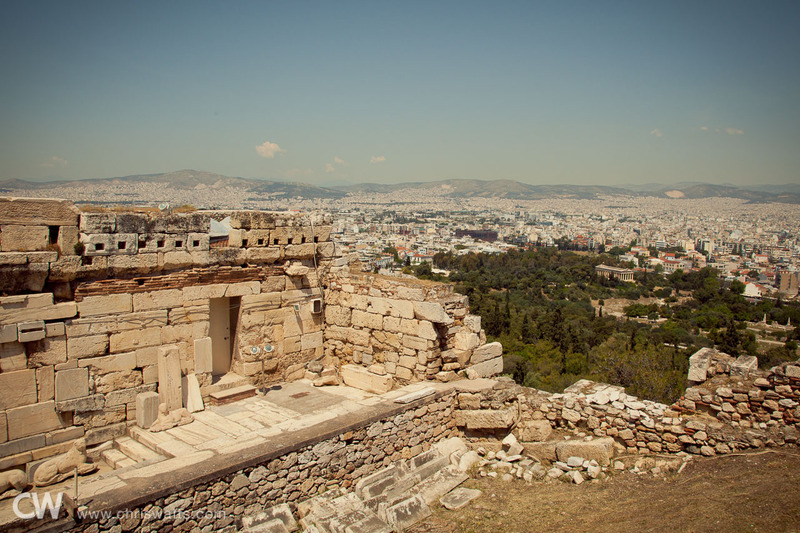 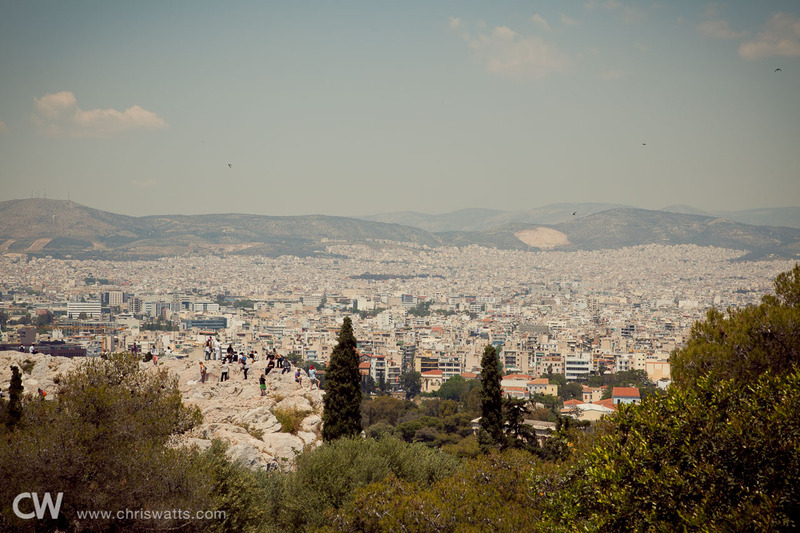 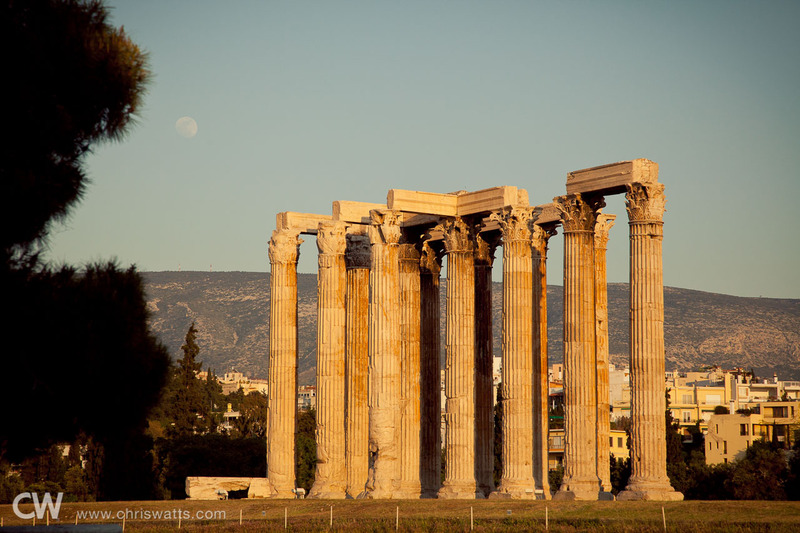 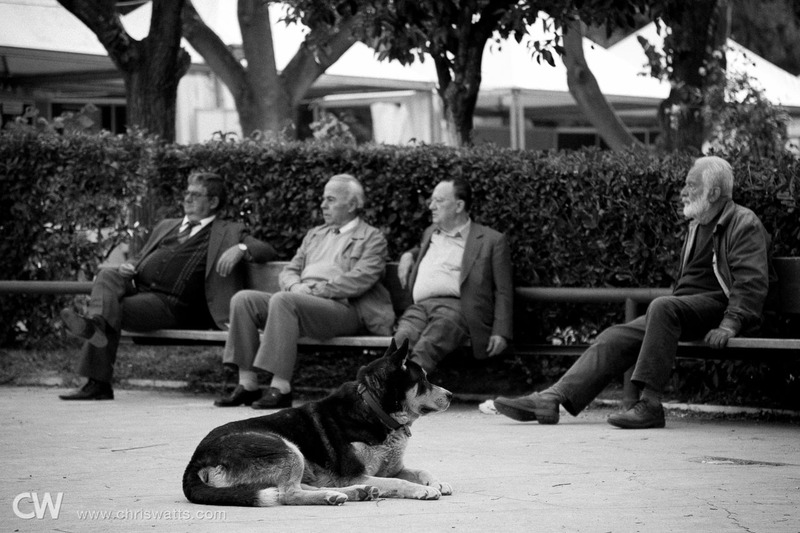 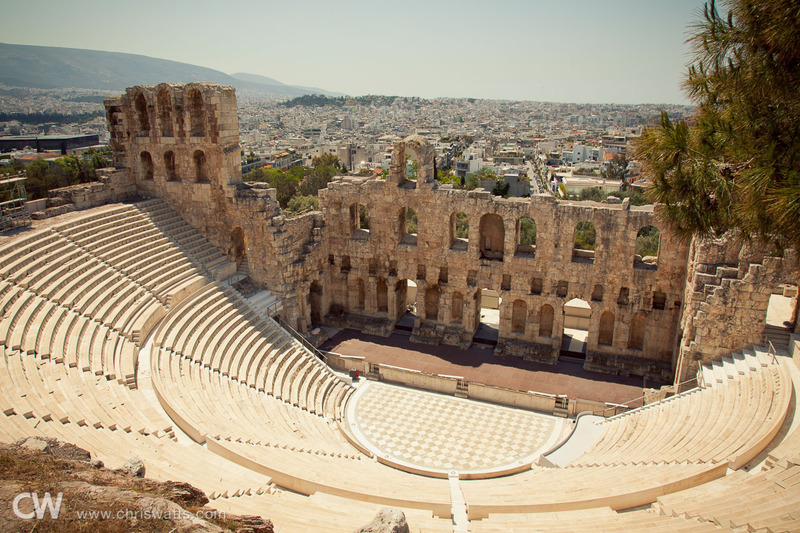 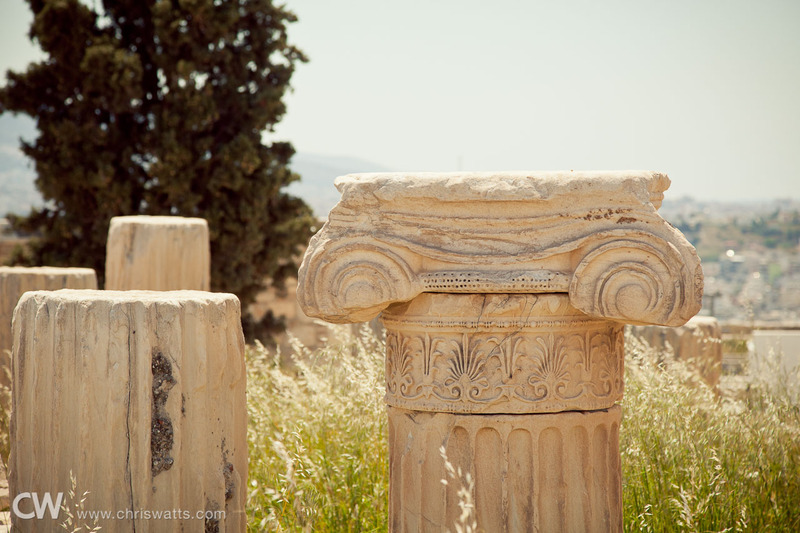 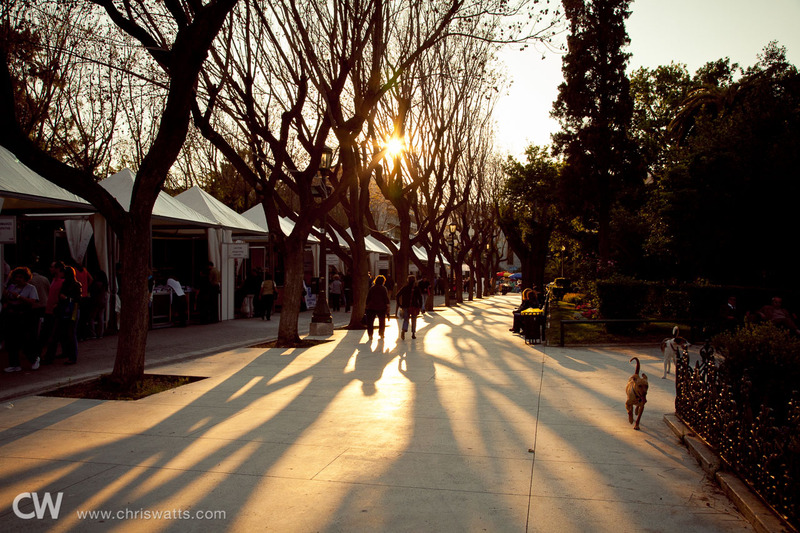 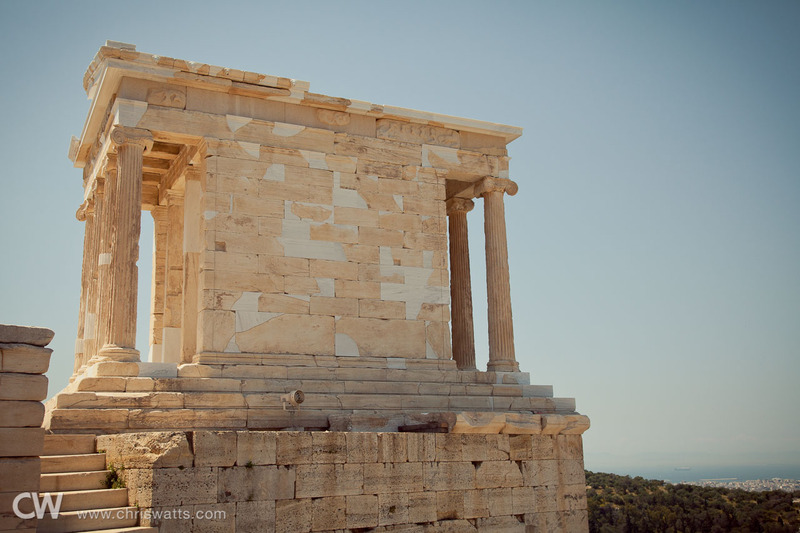 We spent our first day in Athens on a sightseeing tour. 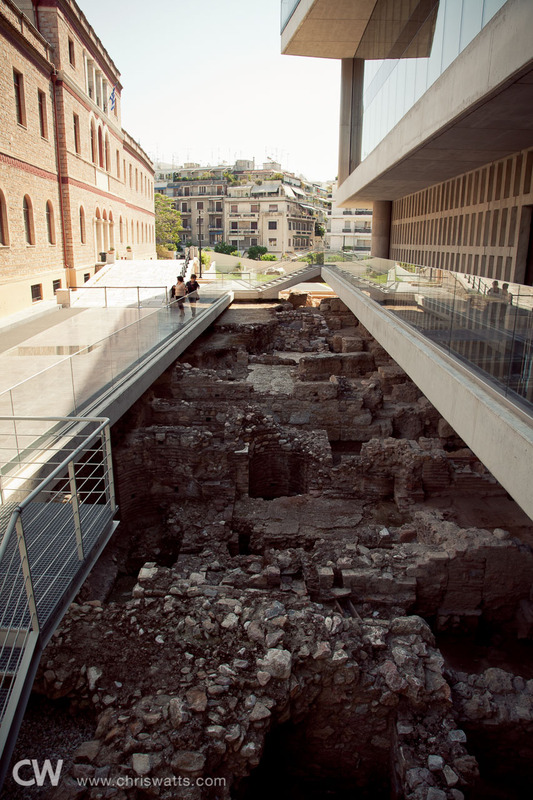 First stop, the Acropolis Museum near the base of the Acropolis. 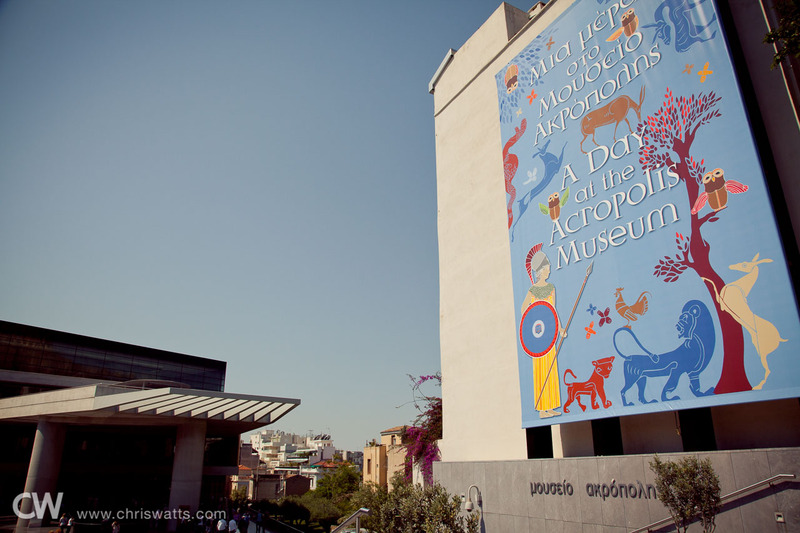 The museum contained a wealth of interesting artifacts, especially statues. 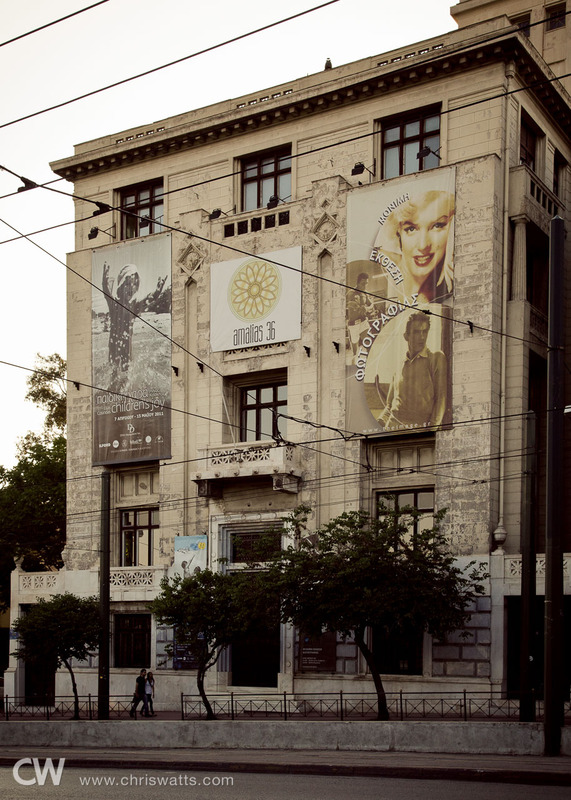 Unfortunately, photography was not allowed inside the museum. 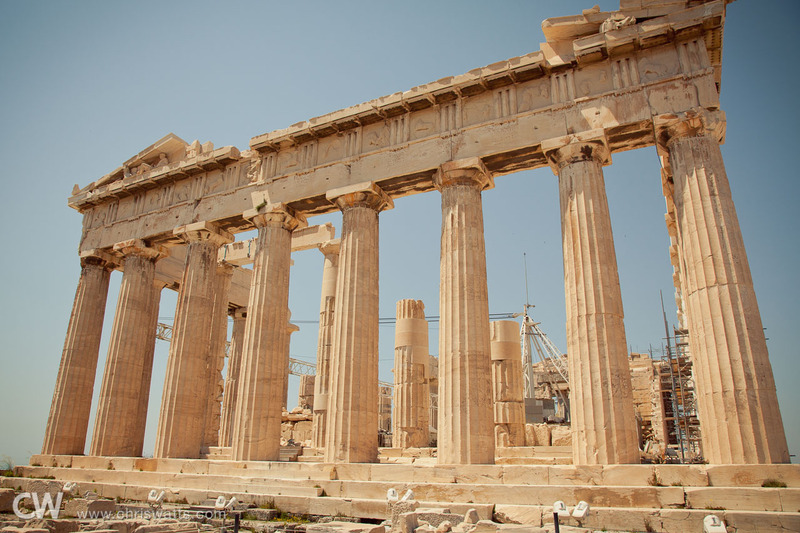 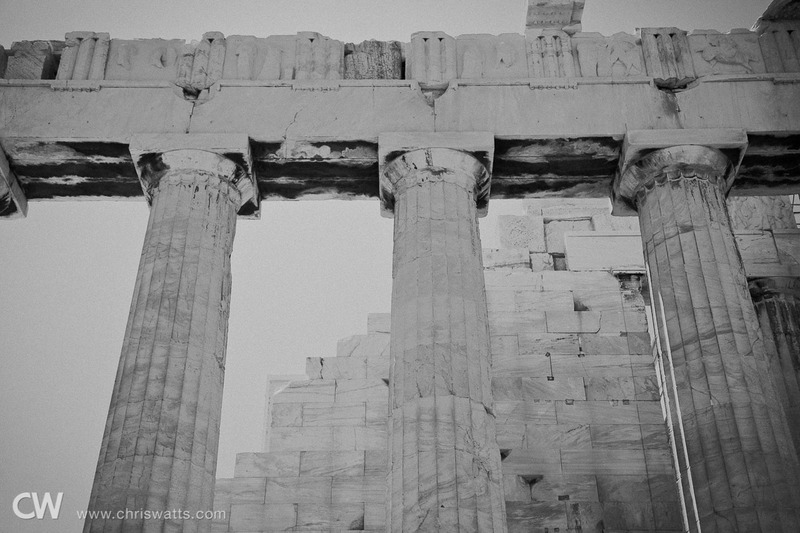 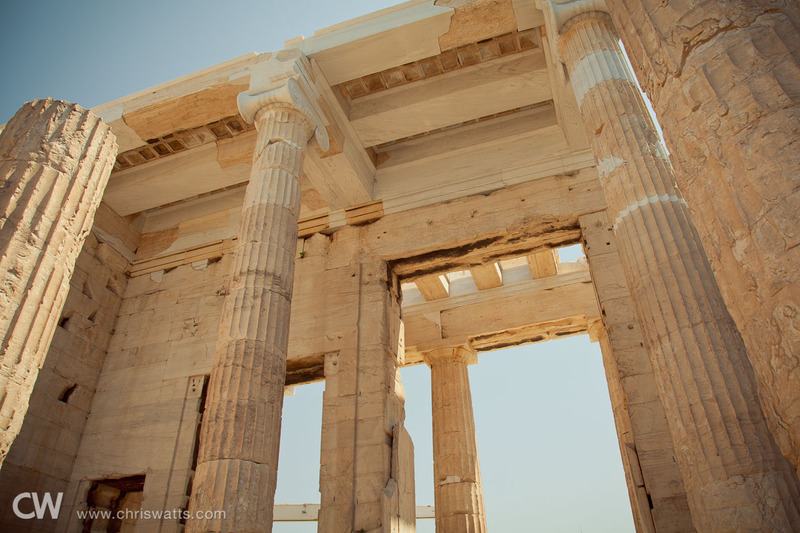 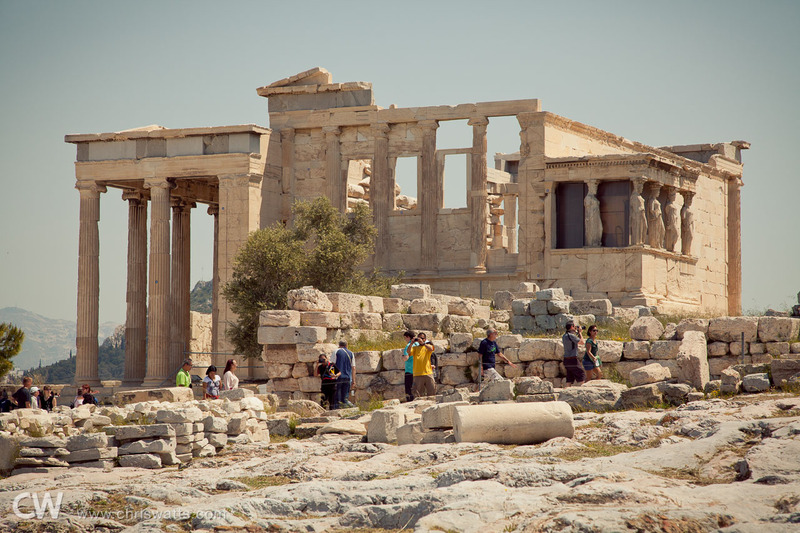 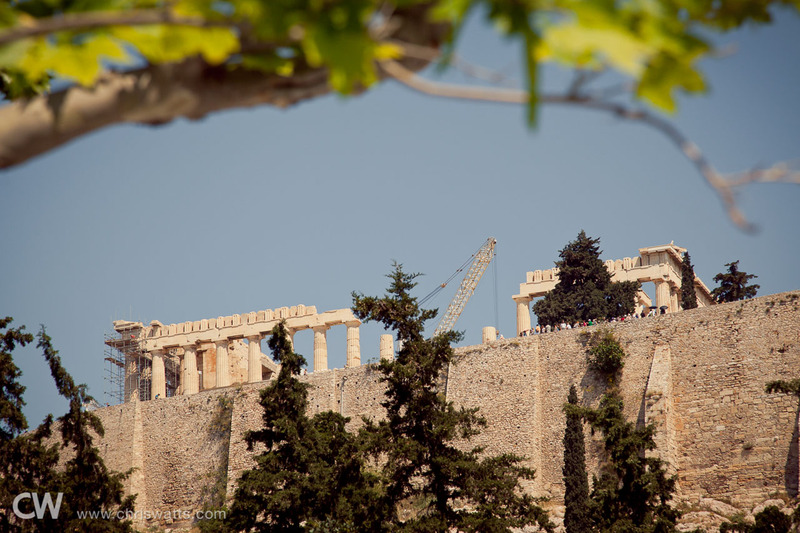 The Parthenon, which, during our visit, was undergoing restoration. 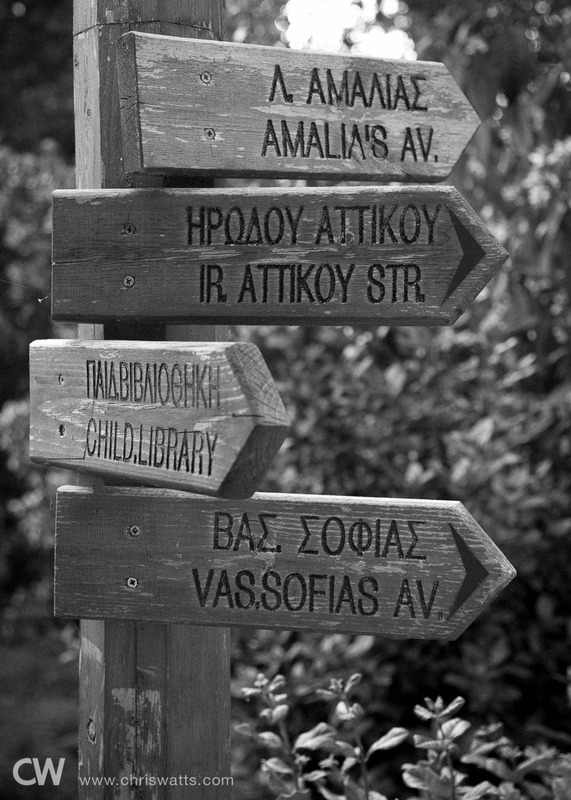 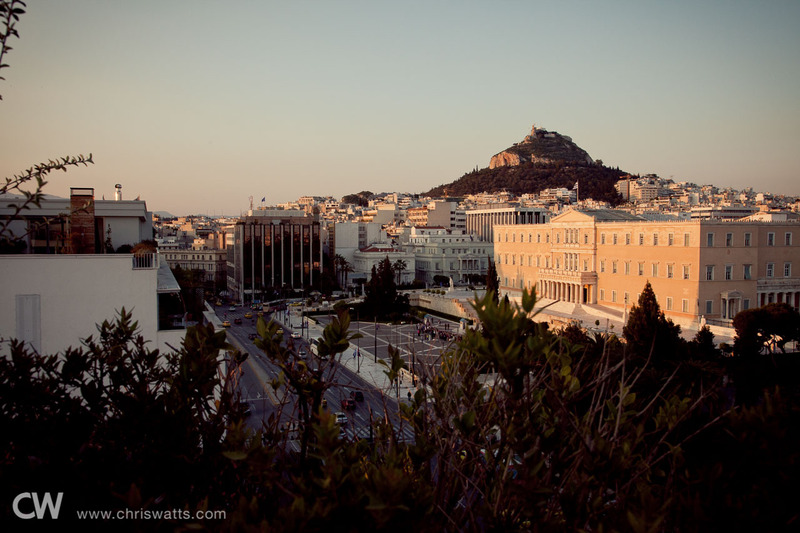 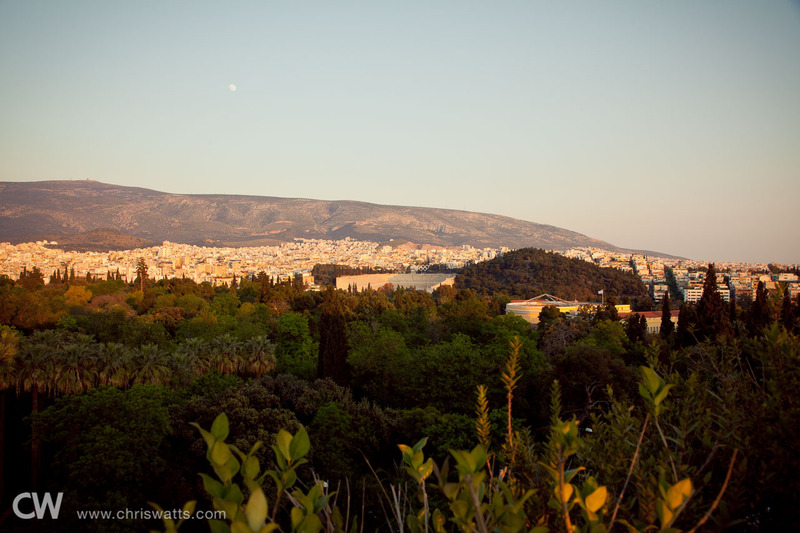 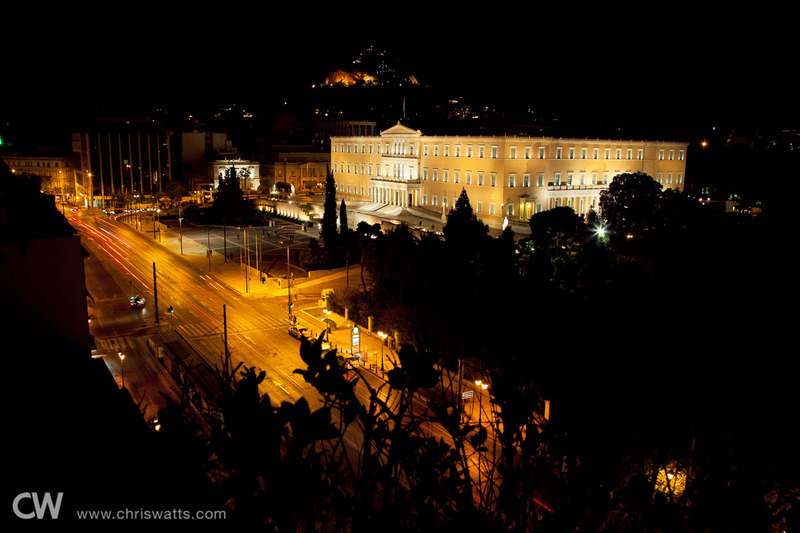 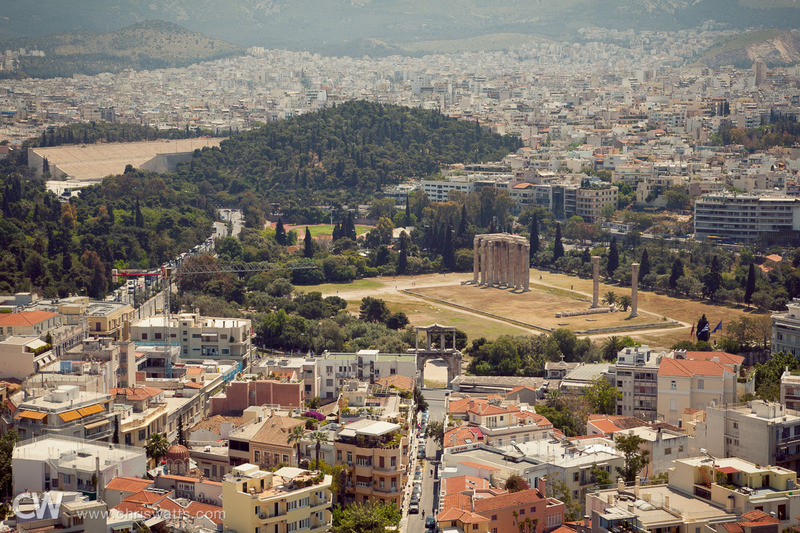 Lykavittos Hill, surrounded by the city of Athens. 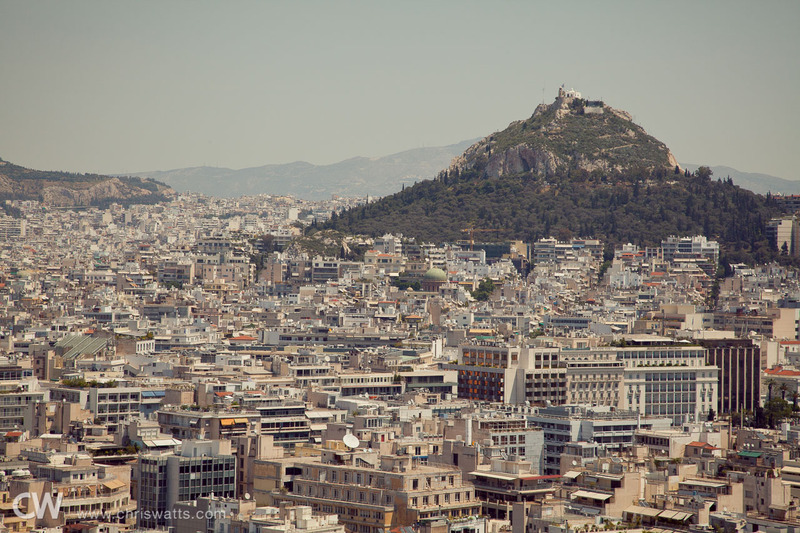 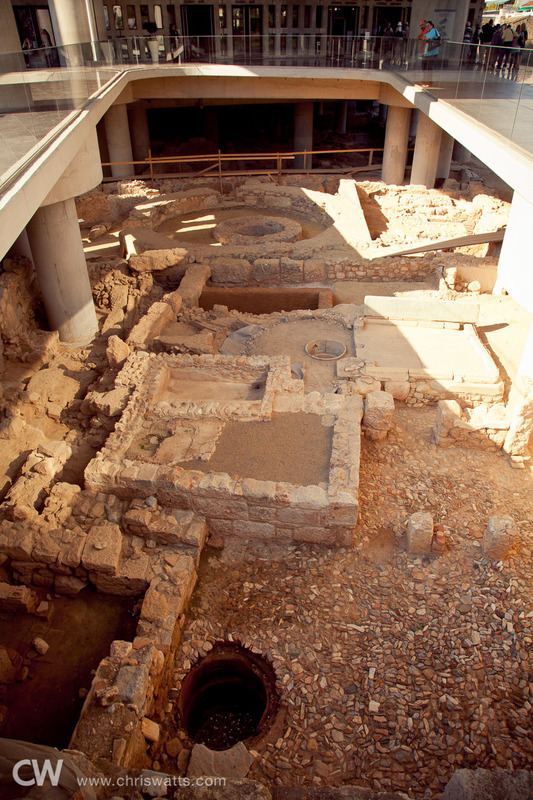 Overall, Athens was a very dense city. 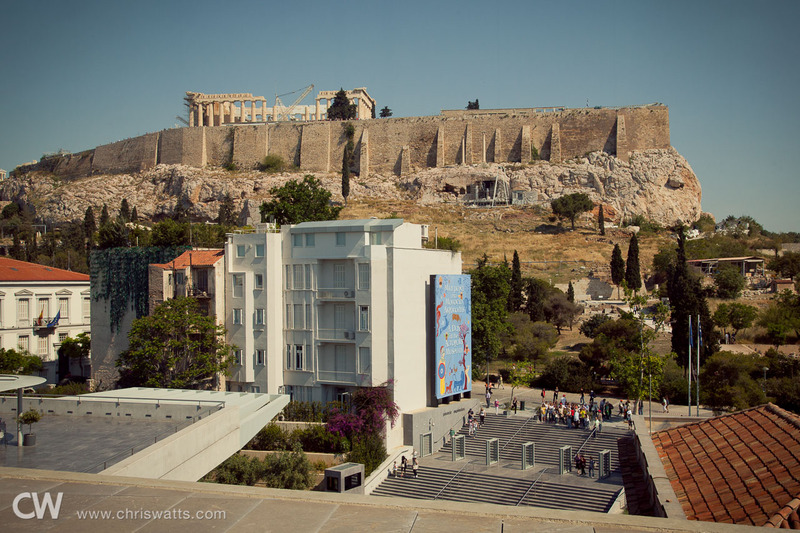 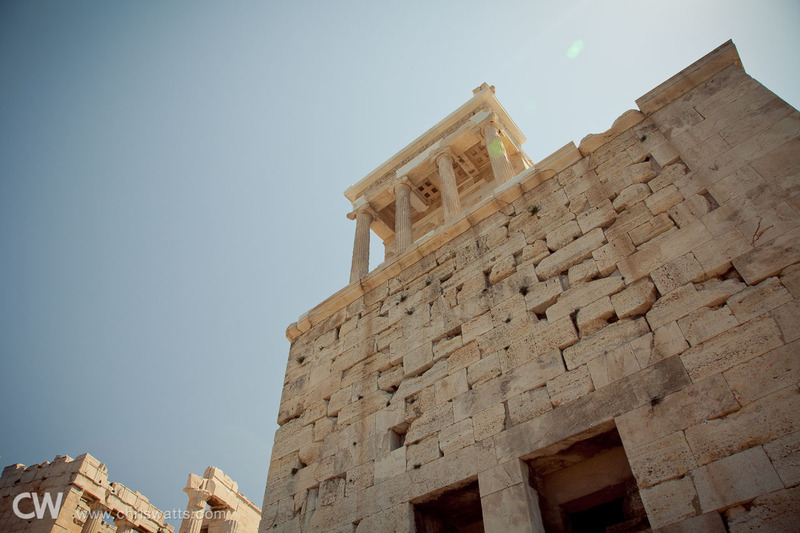 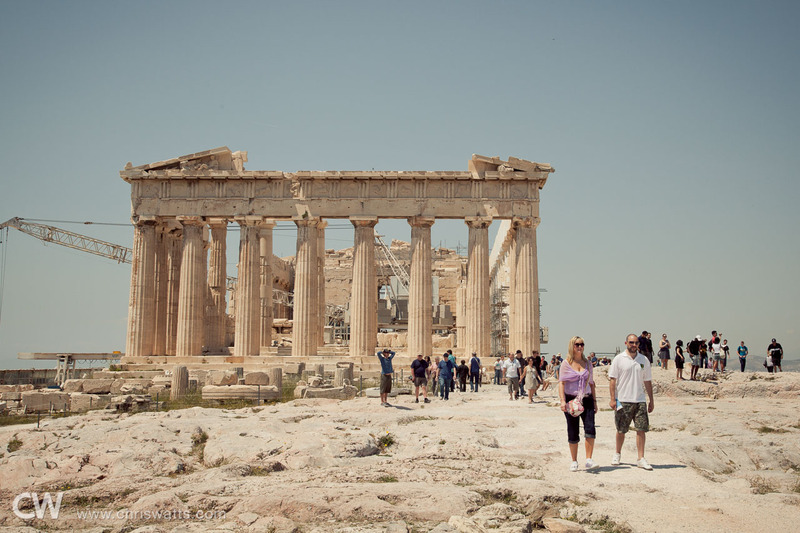 We were told by our tour guide that one reason for this is a law that states no building may be taller than twelve stories so as not to block the view of the Acropolis. 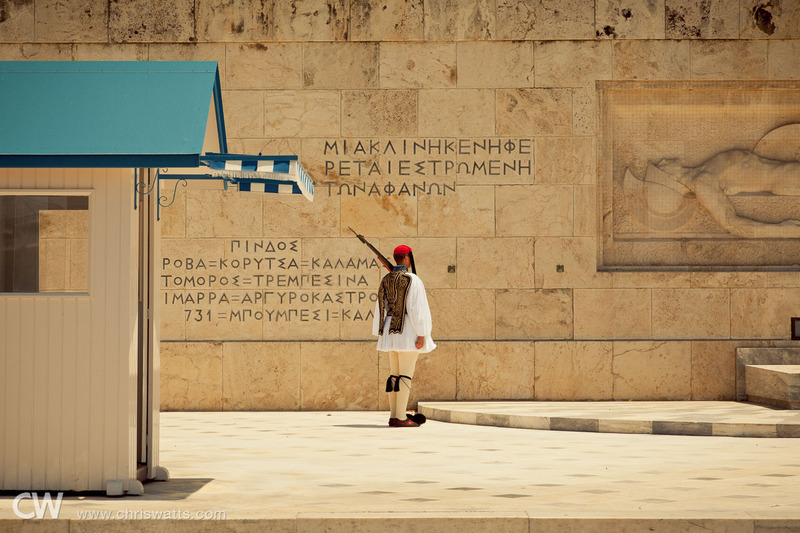 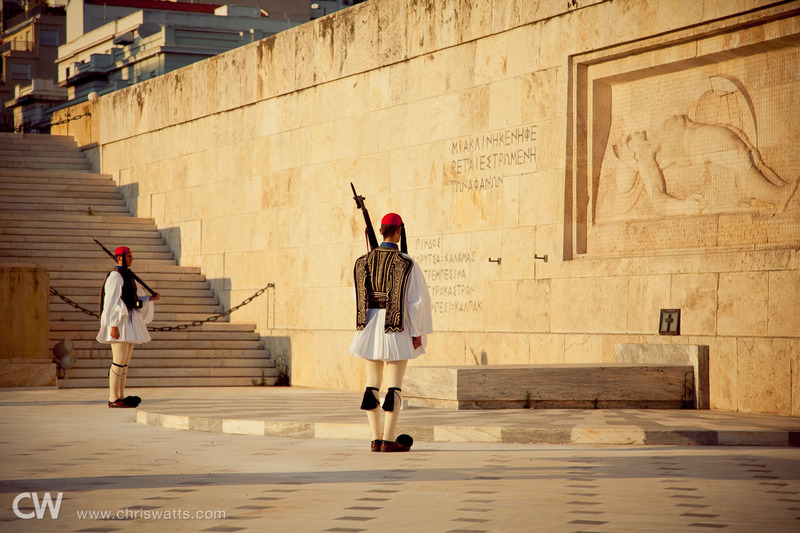 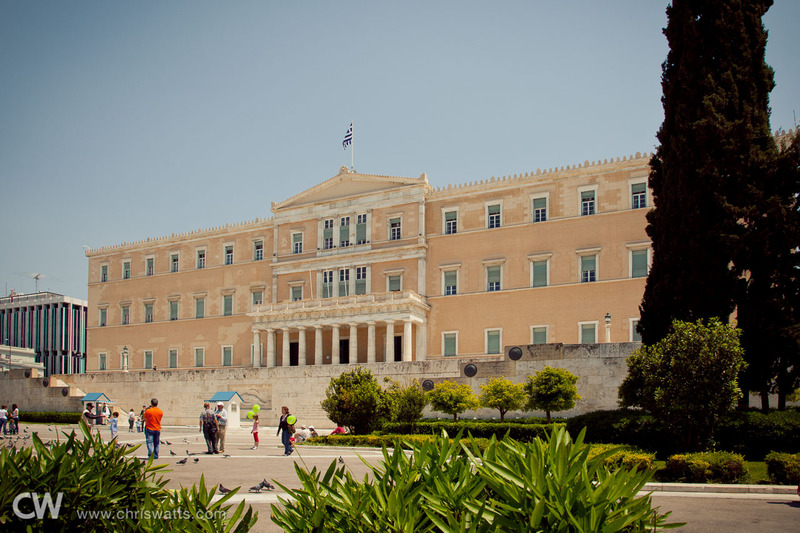 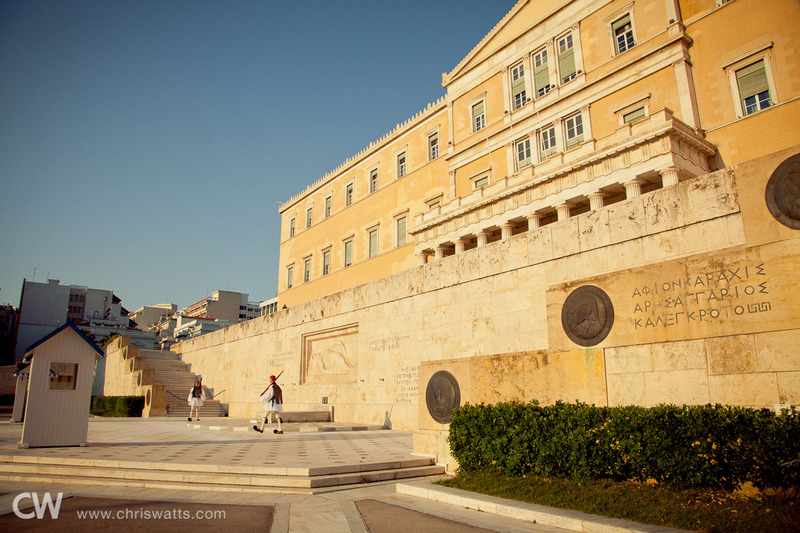 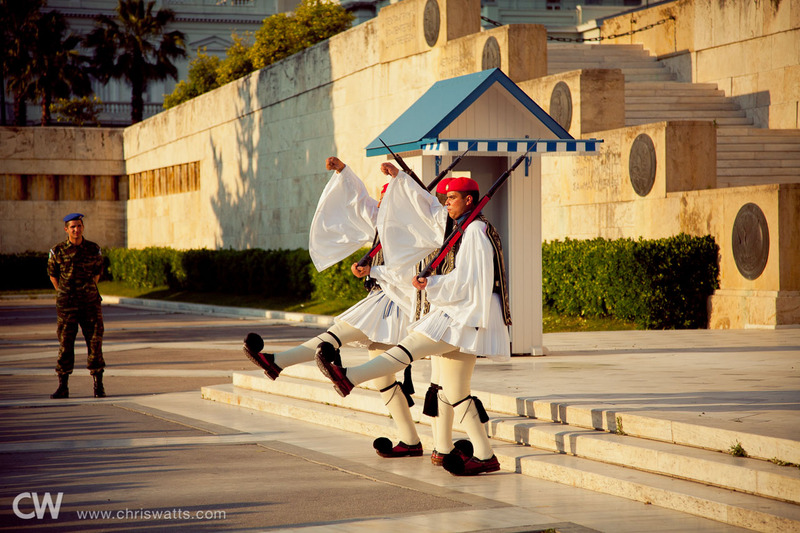 The Hellenic Parliament building, where we saw the Tomb of the Unknown Soldier, guarded round-the-clock by the Evzones of the Presidential Guard, was just a short walk from our hotel. 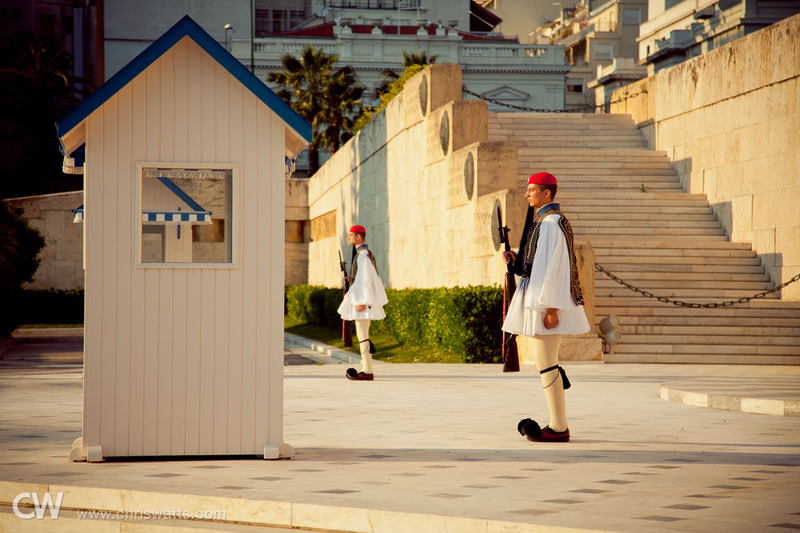 The changing of the guard was a must-see and took several minutes. 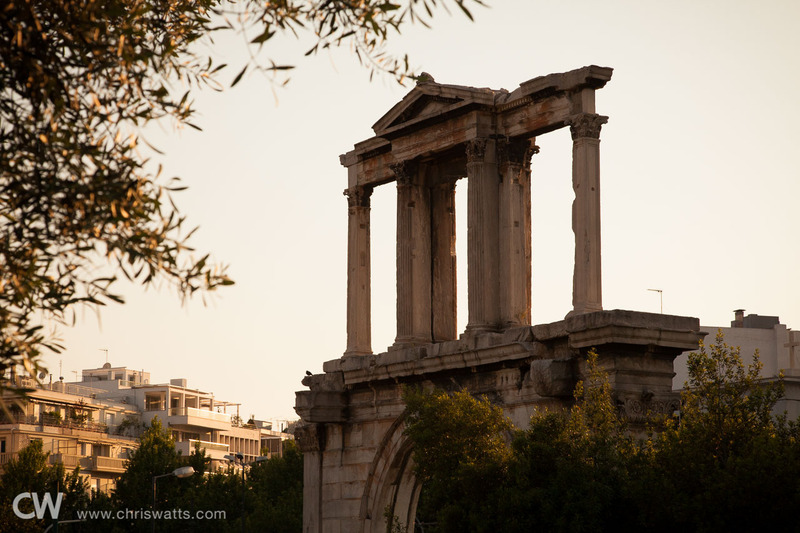 We spent the evening taking in the sites around our hotel. 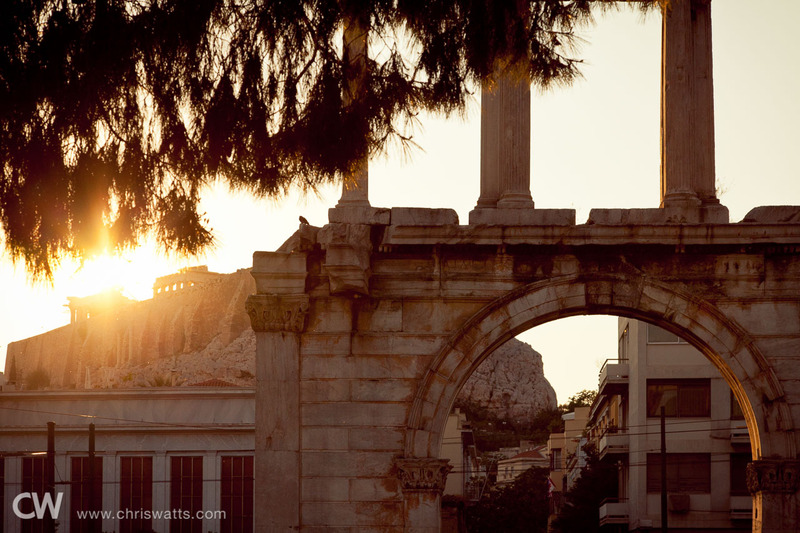 An archway in front of the Temple of Zeus (following photo). 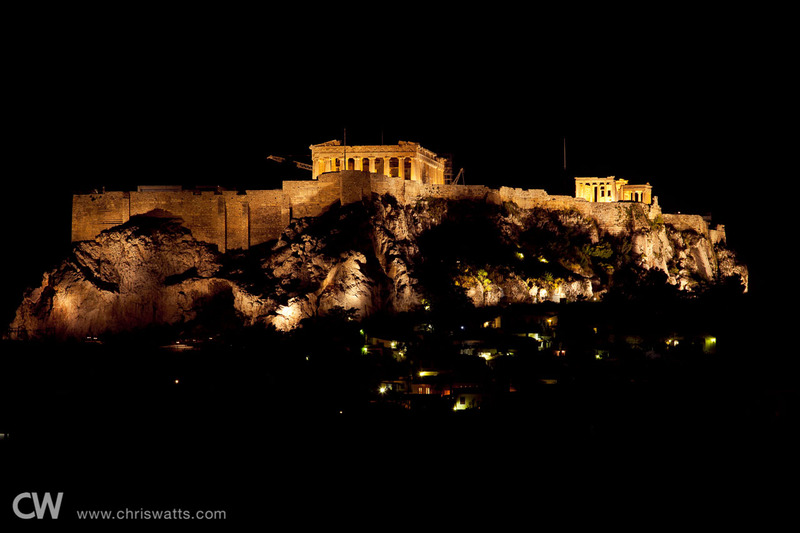 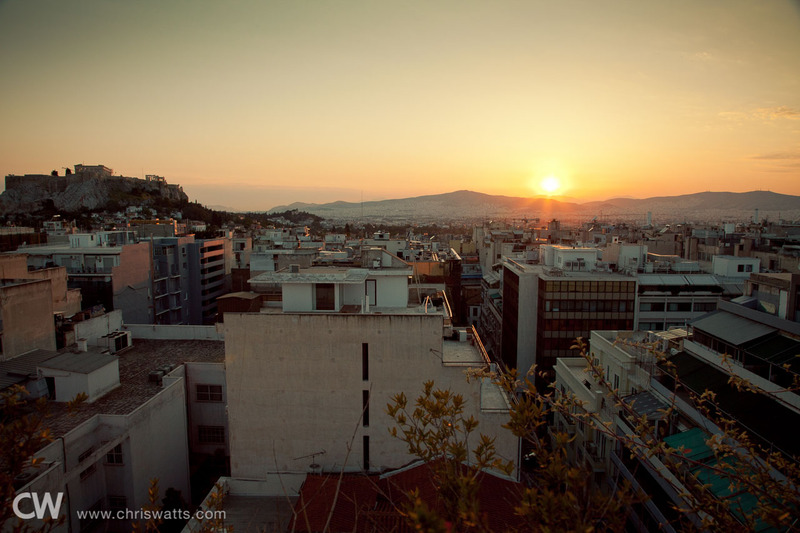 Our last night in Athens before heading to Mykonos, we spent taking in the views from the roof of our hotel. 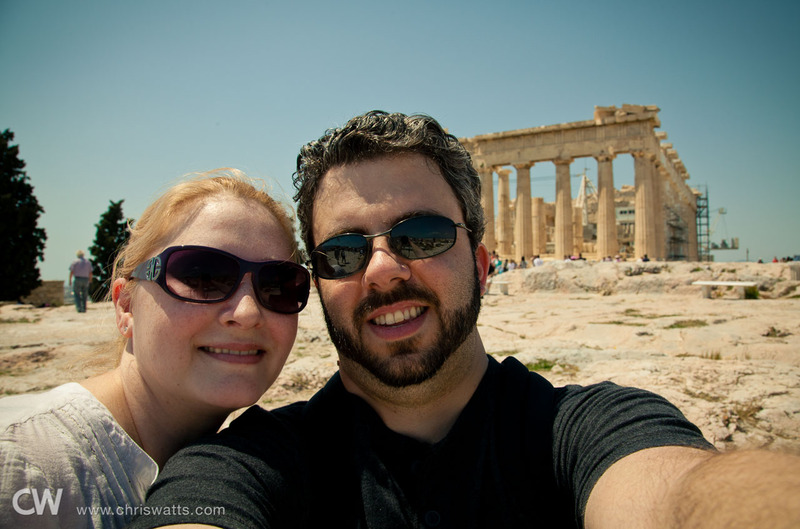 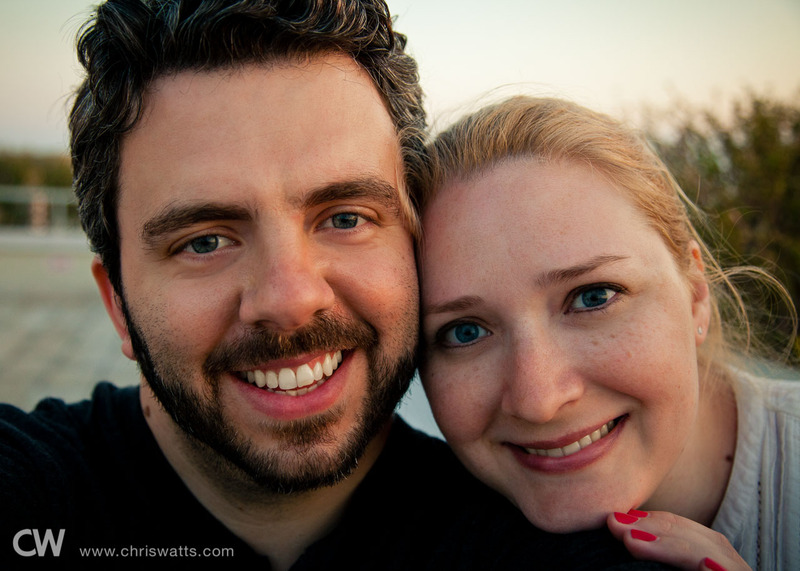 Continue to part 2 of Our Honeymoon In Greece - Mykonos.